Bigham Knoll #4 | Historic Jacksonville, Inc. When a December 1906 fire razed the 3rd school to stand on Bigham Knoll, Jacksonville voters immediately approved another school bond issue. The new fire proof brick building, completed in 1908, was acclaimed one of the best appointed schoolhouses in the state with 6 classrooms, a large assembly room with a large stage fitted with electric footlights, and a steam heating plant. A large gymnasium building, additional classrooms, and other out buildings were added between 1924 and 1953. But by the 1950s the structure had safety issues, and in 1959 the high school was closed and the second floor of the building blocked off. One year later, the cupola and bell tower were removed. After a new elementary school was constructed in 1983, private schools occupied this structure through 2007 when the property was acquired by the Ashland family for their corporate headquarters. 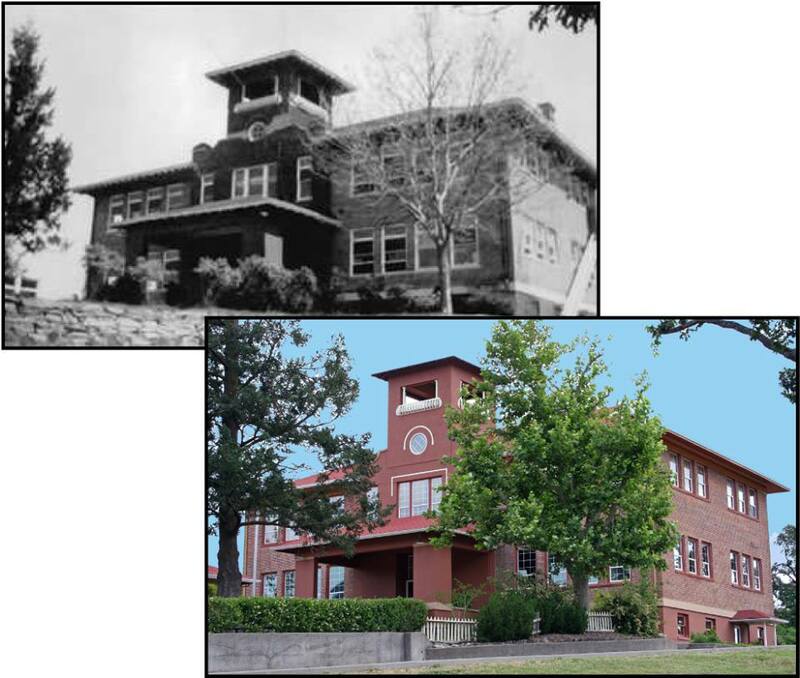 With the goal of maintaining a learning environment for their employees, they have lovingly restored the buildings, recycling original materials and reintroducing many of the distinctive features of the 1908 school.